Calacatta Marble is a unique and high-quality stone that is incredibly versatile. 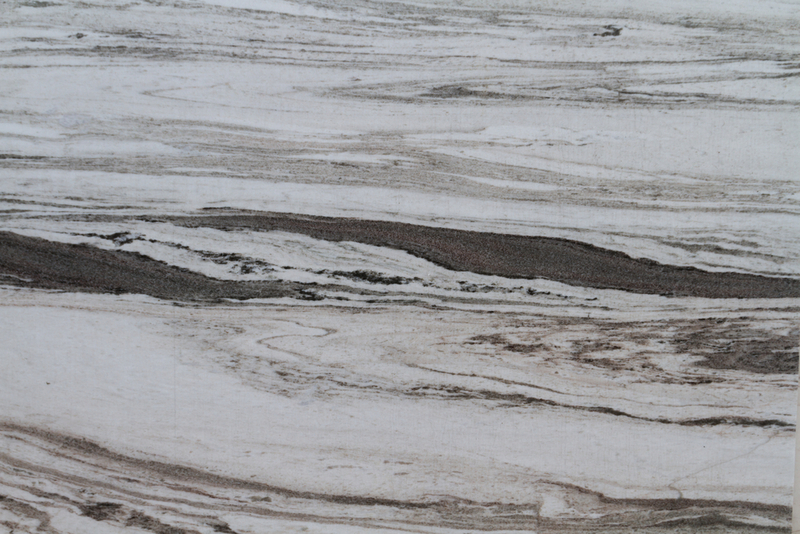 This marble can be used in kitchens, bathrooms, and living rooms. Calacatta Marble is a lightly colored and highly unique type of marble. This kind of marble has distinct veins of darker stone running through it, making it a versatile choice for kitchens with dark and light tones in them. This marble type has a wide variety of applications, and can be used all over your house. 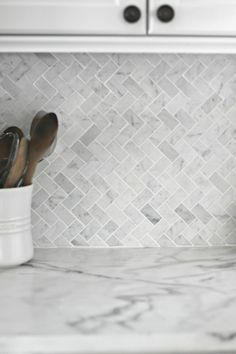 Popular uses for this kind of marble are as kitchen countertops, as a unique kitchen border or back splash, or as countertops for bathroom counters or shower accents. Calacatta Marble is known for having dark, unstructured veins running through it. Other marble types are characterized by softer veins that have a distinct pattern running through the slabs. Part of Calacatta’s charm is that the stone looks unpredictable, and you never know exactly what designs will pop up in each piece. Calacatta’s main selling point is its smooth, white background color. This brightens up kitchen and bathroom spaces and allows you to pair dark paint or cabinets with this kind of stone. The versatility of marble allows users to place it almost anywhere in a home and have it fit right in. This kind of marble comes in various background tones, from very white to cream and off-white. The veins can be colors ranging from shades of gray to tan and golden tones. These neutral colors allow you to highlight many different architectural designs you may have in your home, including traditional looks and more contemporary interiors. This kind of marble comes from a quarry in Carrara, Italy, and is often confused with Carrara White Marble. As there is only one quarry in the world where this marble comes from, it can be in short supply. 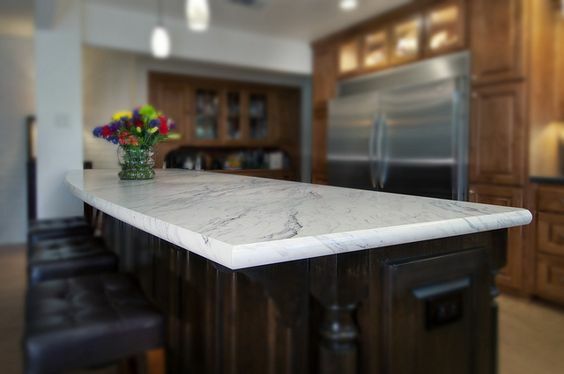 Although a limited amount of this marble is available each year, you should be able to find the color and size of marble you need without too much of a hassle. If you are looking for more ways to use this marble in your home, tie in different elements of your architecture with marble accents. The Calacatta variety of marble is often used as marble flooring for buildings or a home’s entryway; it can also be used in many different ways in bathrooms, including for shower walls, bathroom tile borders, vanities, bathroom countertops, and more. 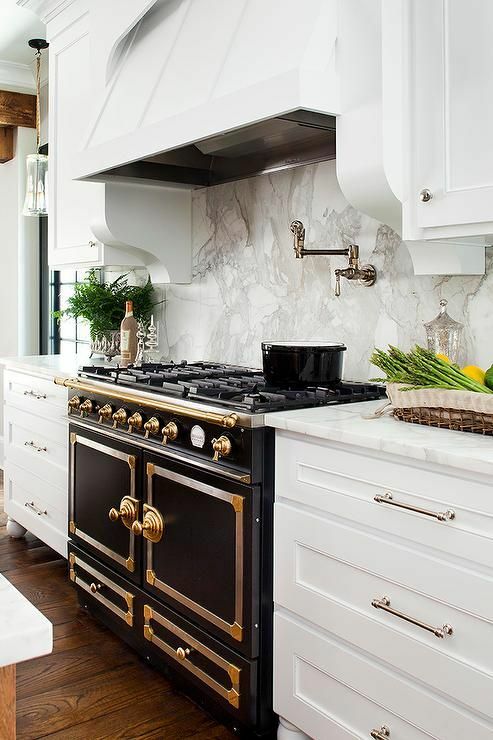 If you have an open plan kitchen and living room area, you could use marble for your kitchen countertops and island countertop and tie in these two spaces with a marble mantle over a fireplace. When it comes to using marble in your kitchen, granite countertops are where the eyes are immediately drawn to. 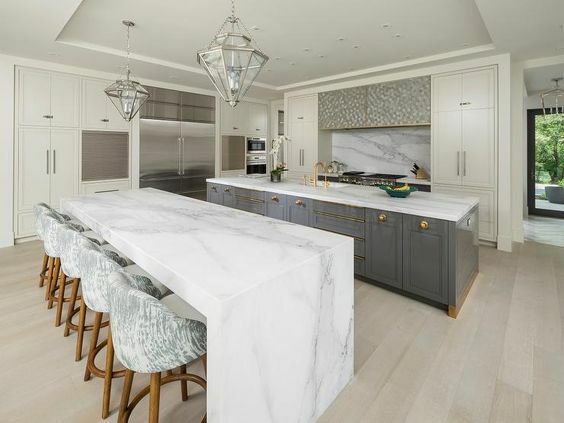 A light colored countertop can accent light or white colored cabinets, but light marble can also pair well with wood cabinets or darker colored walls. 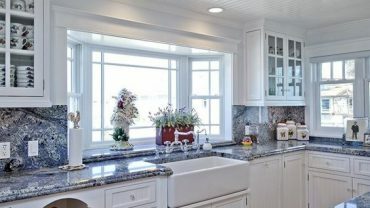 The versatility of light colored marble is one of the reasons why it is a popular choice for kitchen interior designs. In addition to brightening up a room, white countertops can take advantage of natural light in ways that darker stone doesn’t. 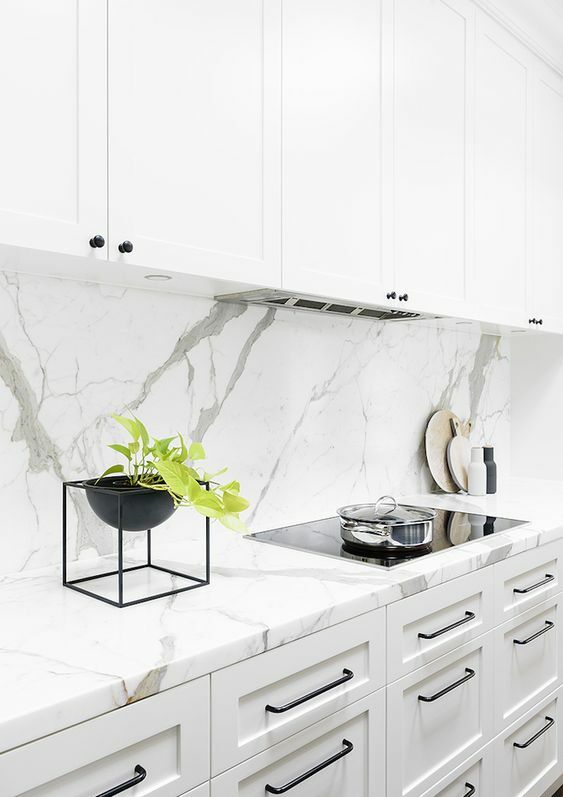 Here are a few more ways that Calacatta Marble can transform your kitchen. Dark and light elements can be paired with Calacatta Marble. Marble backsplashes add depth to a kitchen wall. 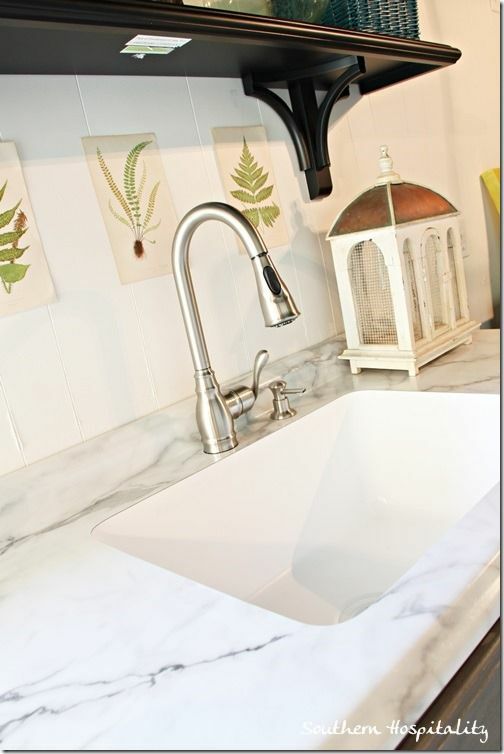 Marble can be used as a tile back splash as well. 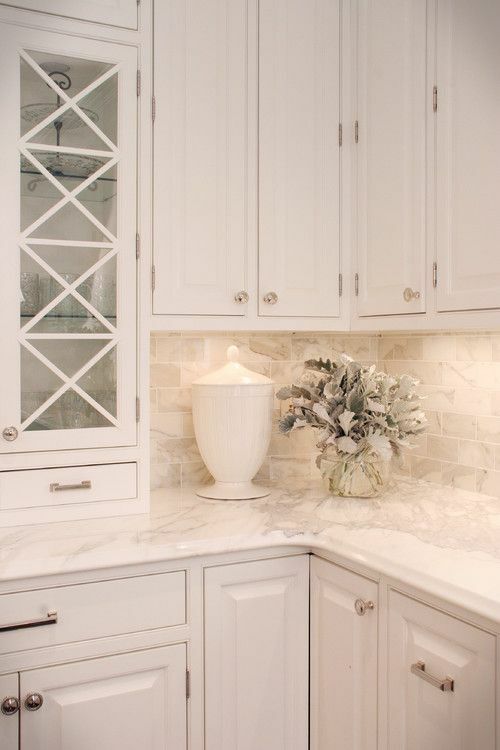 Marble with different colored veins can accent paint and cabinet knobs. 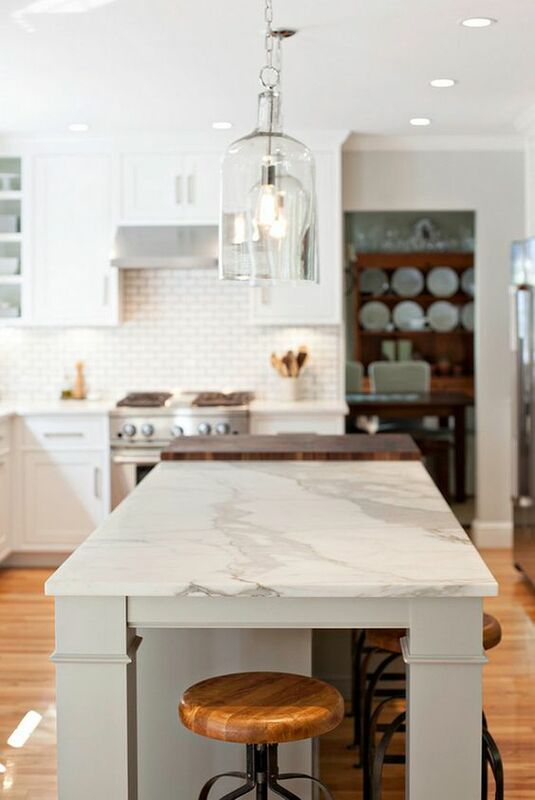 A kitchen table can also be covered in marble for added durability. Dark cabinetry can be offset by light marble. Calacatta Marble is a classic countertop look. 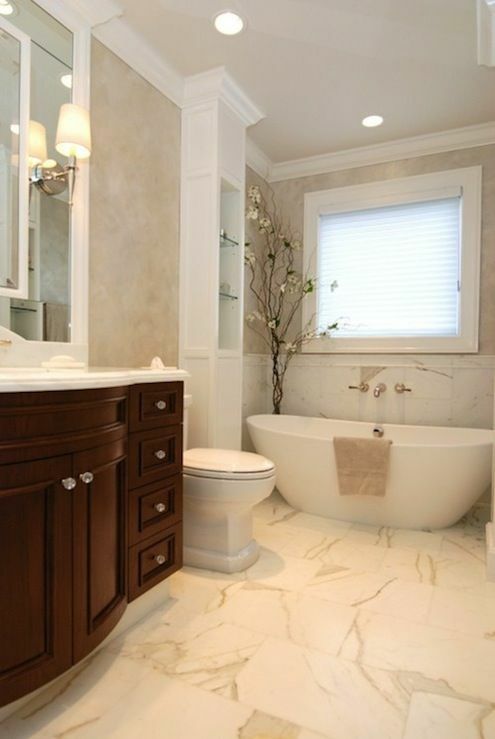 Marble can also look great in bathrooms. A seating area could also benefit from marble. 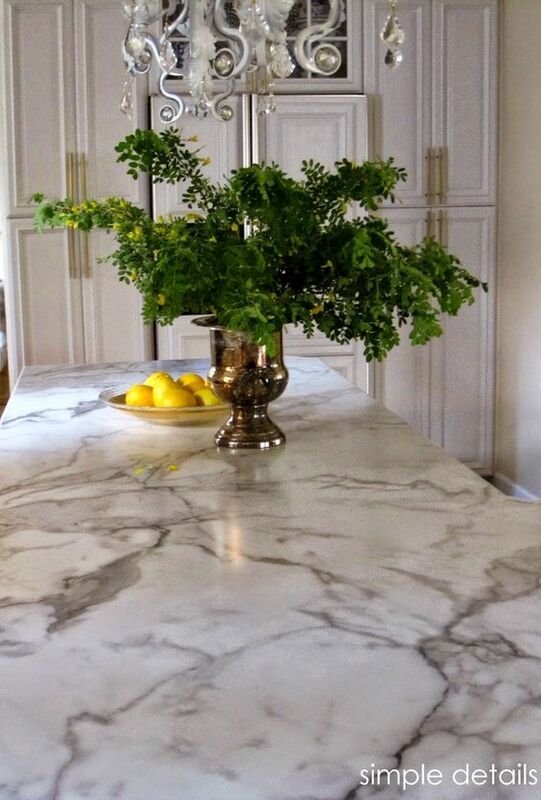 Marble can create an elegant kitchen look.